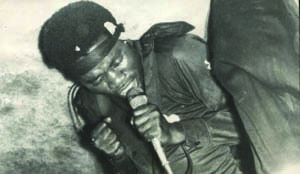 A WEEKEND search at Lusaka’s Kilimanjaro Night Club by music promoter Edward Khuzwayo and his producer David Nyati during the 1970s reveals massive talent in a youthful band calling itself the Five Revolutions. The band was crazy when it came to stage gimmick which went well with the fashion of those days when local musicians spotted afro hair styles with high heeled shoes, tight bell-bottomed trousers and balloon shirts. This was also the style of the Five Revolutions who painted their base red with Zamrock sounds mixed with heavy rock from foreign bands such as Deep Purple, Grand Funk, Black Sabbath, Rolling Stones, Buchman Turner and afro beat pieces from the legendary Osibisa and Nigeria’s Anikulapo Fela Kuti. 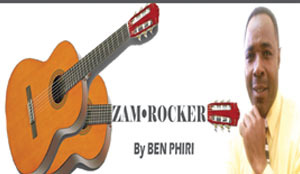 Five Revolutions was one of Zambia Music Parlour’s discoveries that helped to shape up Zamrock and its music is still being sought on the international market where it has been re issued by some record firms. “This was a good discovery for us and the guys were extremely good and their music was superb. We thought we could talk to them about their future,” said Nyati in a recent interview. 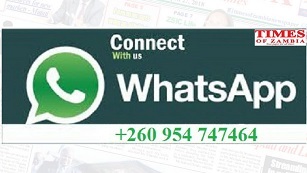 Nyati described Five Revolutions as among Zambia’s most successful bands and became best the discovery for the recording Company, Zambia Music Parlour Limited (ZMPL). The band then called Twangs, was formed in Kabwe around 1968 and had original members such as former great Witch guitarist Chris Mbewe on guitar and vocals, Zion Lofwa (bass), Abel Mukubwe (drums) Hunk Mukumbo (rhythm) and John Mwansa on vocals. Later the band was reinforced by Morris Mwape and afterwards, Mbewe left to join the Kingston Market who later became the Witch. The band then changed the name to Five Revolutions at the turn of the 1970s and the Kilimanjaro night club discovery by ZMPL, brought the outfit to Ndola in 1973. “We bought the Five Revolutions very powerful instruments which gave a fair share of competition to established bands like the Tinkles, Peace, Witch and Fire Balls among them,” Nyati explained. By 1974, the band had brought in new faces in Selemani Saidi who also played bass guitar alongside Zion Lofwa, Lovemore Sakala (drums and vocals), Eddie Phiri (rhythm) and Bondy Chibuye also on drums. It was not until 1975 that the band broke onto the music scene with its maiden album, Boy Friends which had songs like, I Will Be Going Tomorrow, Too Many Boy Friends, Fwebena Zambia, Tell Me Your Needs, Chibelebense, Disappointments Ndalila Bama and Show Me How Much You Love Me, which were equally hit songs. Another album, Iam A Free Man followed in 1976 and Nyati described this album as a hit which commanded good sales on the local market. The album had hits such as A Daka Mwapulumuka ku Njala, I Feel Alright, You Don’t Know Me, Iam A Free Man, Greetings, Carol Respect Your self, Kulemela Kwa Bambo Wanga and Mbulazi. Other albums like Kachasu Ne Ndoshi and Mrs Brown were all well received on the local scene but according to Nyati, the impact was not as much as the first two albums though they also did well in terms of sales. Mrs Brown featured songs like I should Have Realised, Mrs Brown, Matsautso, Little Freak, Poor Man, Knock Out, Soweto and Nshilaya. Muchonde, Wemfwa, Kachasu and Mwe Ndoshi were the four songs that made up the Kachasu Ne Ndoshi album. Five Revolutions had a few singles to its credit and these were Nafyala Umusungu (ba Jane), Down at the Corner, Boys and Girls, Sensele Sensele (Balasensele Ngombe balalya), Aba Baume Uleyangala Nabo, and a hit song, Nurse, which raffled the feathers of nurses who called for its immediate ban. It at this point, sensational song writer John Mwansa of the Mukamfwilwa fame and veteran keyboard player Ryan Fara, joined the band around 1979. In 1980, the Five Revolutions backed sensational John Mwansa on his controversial hit single, Muka Mfwilwa (Waikala Lufyanya) which topped the local music charts for a long time. Mwansa came back with another wave of a song in Ubukwa Bwa Ba Foloko, which was an anthem in tavern juke boxes. But due to the high rate of piracy at the turn of the 1980s through to the 90s, ZMPL closed its doors and laid off the Five Revolutions including its sister band, the Blackfoot. Five Revolutions left to perform at Labour Day Bar in Kabwe, later moved to Lusaka’s Mulephele Bar before ending up in Livingstone. It was in Livingstone that Morris Mwape was taken ill and passed on in 2007 and the band was depleted with the last man Lovemore Sakala passing on in 2012. But even so, Mwape’s son, Morris junior and a few others are keeping the name of the band alive but they are not as aggressive as the original Five Revolutions.